Are you looking to add a little volume or length to your hair? It can be difficult, if not impossible, to improve the length or volume of our hair on our own. You could try crossing your fingers and hoping to avoid damage while you allow your hair to grow out over the next year, but what if you need extra volume? 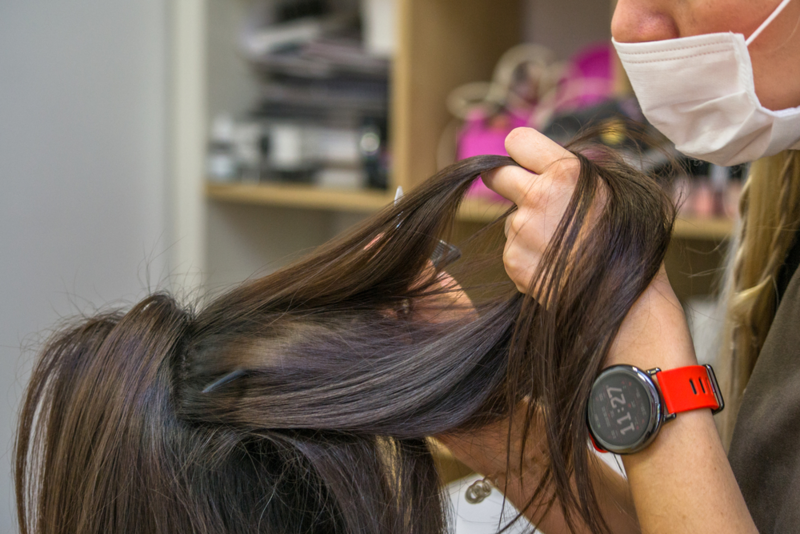 If you currently have a short style or thinning hair and want to experience an immediate change of pace, let the professionals at Salon d’Artiste help you out with hair extensions! Here at Salon d’Artiste, we use Great Lengths® hair extensions. Great Lengths® extensions are of the highest quality, 100% human hair and are the perfect way to achieve the look you want! With a wide variety of colors, textures and designs, including a fantasy hair colors and ornaments like crystals, we can quite literally create any look you can dream up. No longer a secret tool reserved for the elite, hair extensions are a fantastic option when wanting - or needing - to change up your style. With the additional length, volume, or even pop of color, extensions have the power to make even the simplest ponytail instantly more interesting. The best part is, with proper care and home maintenance, these extensions can easily last between 3-5 months! The first step to your new beautiful hair is a consultation with one of our highly trained experts. During this appointment, your natural hair will be evaluated to determine if it’s strong and healthy enough for extensions. Then, we’ll talk with you to help us understand your vision and desired look. Finally, we’ll explain the required maintenance and upkeep for the extensions, and then we’ll match the color and texture of the extension to your natural hair. Don’t get stuck in a hair rut. Take a chance on something new and change up your look this season! Here at Salon d’Artiste, we are ready and waiting to help make all your hair dreams come true. For an appointment, call us on 610.687.2020 or come see us at the salon at Eagle Village Shops at 205 Lancaster Ave. #2 in Wayne. Want to make an appointment instantly? Use our app which is available through the Apple Store, Google Play, or Amazon.